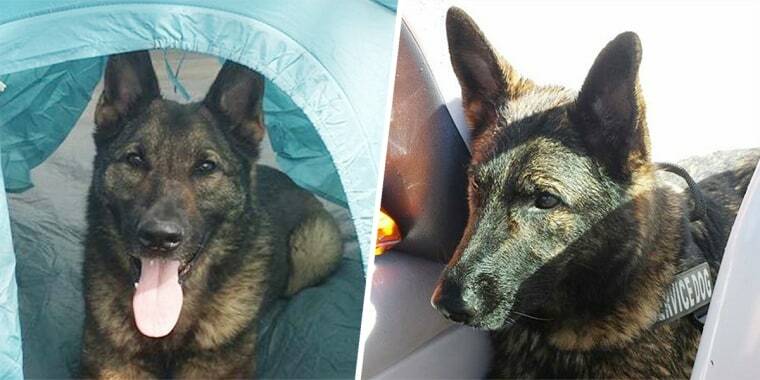 A German shepherd named Irgo was supposed to be flown to Kansas City. Instead, he ended up in Japan. United Airlines is facing another animal scandal this week. Just one day after United apologized for the death of a puppy after a flight attendant forced the owner to place the French bulldog in an overhead bin, the airline admitted to accidentally sending a dog to Japan rather than Kansas City. Kara and Joseph Swindle, along with their children, were moving from the West Coast to Kansas earlier this week and sent their 10-year-old German shepherd, Irgo, via the airline’s cargo. When they arrived on Tuesday and went to pick up their beloved pet, they found a Great Dane dog instead. It wasn’t until hours later when they learned that the Great Dane, which was scheduled to fly to Japan, was accidentally swapped for Irgo. The family was shocked at the news and concerned for the health and safety of their dog. Swindle did say that the airline has been sending them updates and pictures every hour letting them know he was OK. And now, after many discussions with the airline, Joseph Swindle has revealed to NBC News that Irgo is finally being sent to Wichita, Kansas, via a private charter. The dog is expected to make the nearly 12-hour-long flight and arrive at 8:25 p.m. Thursday. Between these two terrible accidents this week, people are wondering what changes can be made regarding the pet policy. United says it will soon issue brightly colored bag tags to customers traveling with pets to help flight attendants identify them, but Swindle wants more. Dog's death on United flight: What would you do in a similar situation?